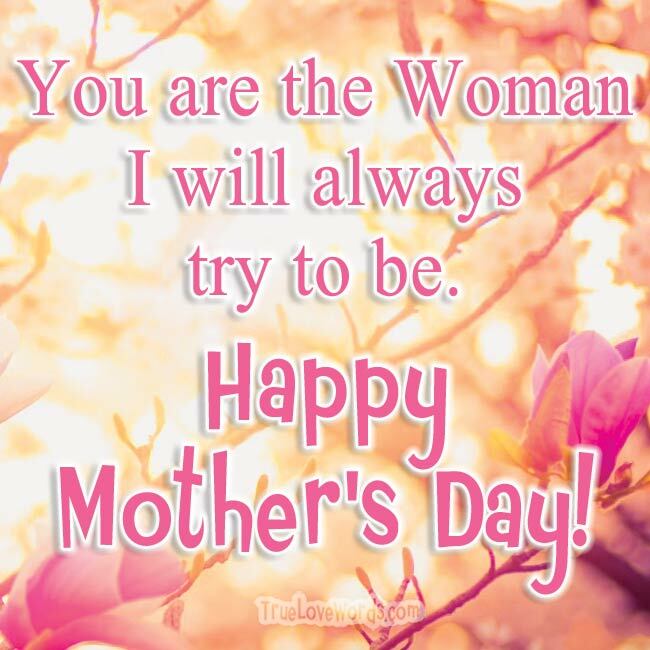 Sweet words to honor and thank your wonderful mother, grandmother, stepmother, godmother, wife, sister, aunt, mother-in-law, partner, friend, on this special day. Happy Mother’s Day wishes and thank you messages written in a simple, creative and sweet way, to express your feelings to the most important and special woman. Pick a nice gift for her and a cute message straight from your heart to celebrate with her the love and care she always shares. ♥ Thank you Mom for being my guide on the path of life. The shining star on the sky to follow. ♥ Thank you will never be enough for all the love you have given me. You gave your best to make us happy! Happy Mother’s Day! ♥ Mom, you are the largest pearl in the ocean of my life. Thank you Mom! ♥ They say that home is where your heart is. My heart is with you Mom. Happy Mother’s Day! 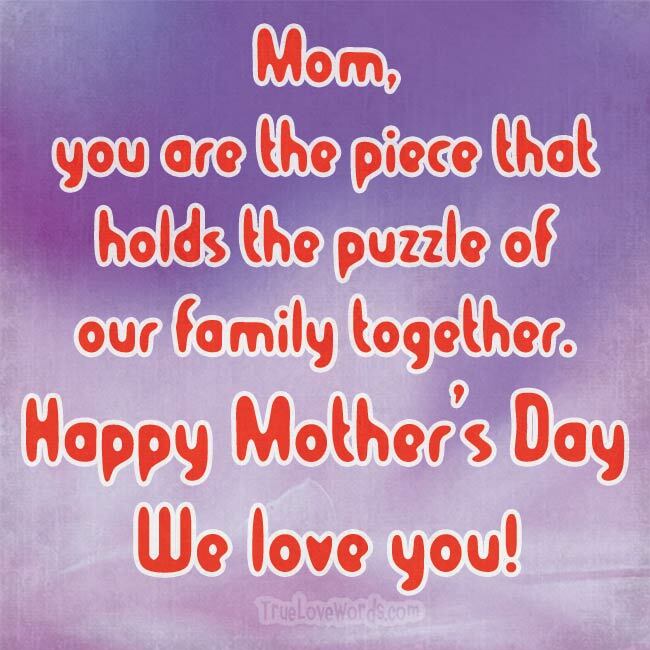 ♥ Mom, you are the piece that holds the puzzle of our family together. Happy Mother’s Day, we love you! ♥ I am so grateful for a great Mom like you. Happy Mother’s Day! May you always be sweet and happy! ♥ Do I believe in love at first sight? Yes, I do because I have loved you since the first time I met you. Love you mom! ♥ Being a mother is the toughest job in the world and you are the best at it. Happy Mother’s Day! ♥ No matter how dark my day is, you always light the way for me. Thank you Mom! ♥ Mom, I know I will go far in life, if I am at least half the person you are. Love you always! ♥ Mom, thank you for loving me and always being there for me. No one will ever take your place in my life. Happy Mother’s Day! ♥ When you cook for our family, it not only fills our stomach but our soul as well. Happy Mother’s Day We Love You! ♥ You are beautiful inside and out, You are strong when life gets rough, You love your family so much, You are the best example for me. Thank you Mom! ♥ Having a Mom like you, makes every day a special day. Happy Mother’s Day Mom! ♥ Mom, thank you for drying the tears I have cried and always being by my side. ♥ Mom, like a fine wine, you improve with time. Happy Mother’s Day! ♥ No matter where I live, Mother you will always be my inspiration. Happy Mother’s Day! ♥ Having a queen as a mom has taught me how to treat women with respect and royalty. Happy Mother’s Day! ♥ Thank you for the great job you did raising me. Motherhood is the most difficult job, but you made it look so easy. Love you always mom! ♥ I will never know it all, but I do know that you are the best Mom a son could ever ask for. ♥ The woman you always have been made me the man I am today. Thank you. ♥ Everyone knows that I am your son. But I am the only one who knows that you are my Sun. 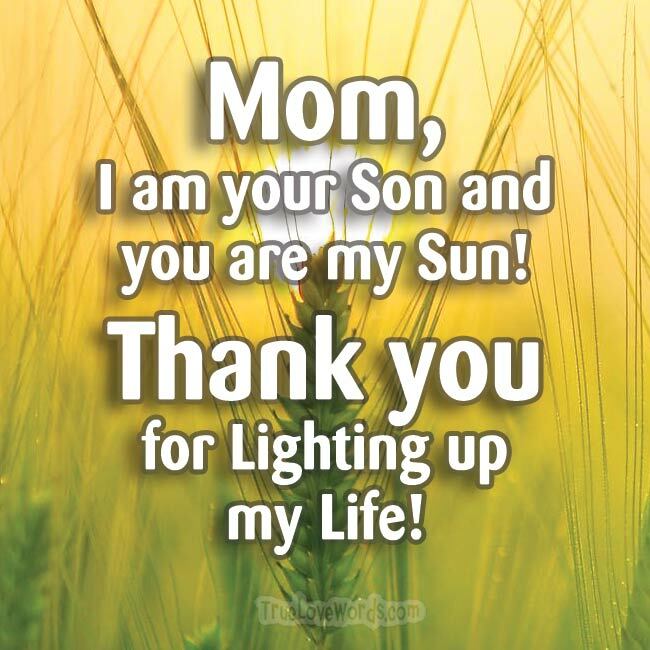 Thank you mom for lighting up my life. ♥ Thank you for working son-up to son-down to take care of me. Happy Mother’s Day! ♥ Only a mom as perfect as you could have a son as perfect as me. ♥ I am super proud to be your son. I am super proud to have you in my life! ♥ There will never be a love so special as the one between a mother and son. Thank you mom. ♥ Thank you for all the sacrifices you made for me to make the perSON I am. I am rich as a perSON, not because of the money my mom spent on me, but because of the time, love, and patience, my mom invested in me. Happy Mother’s Day! ♥ One of the best things you taught me as my mom was how to be the best mom to my kids. ♥ May you have as much joy on Mother’s Day that you gave me as your daughter my whole life. ♥ Happy Mother’s day to the greatest mom, a daughter could ever ask for. ♥ Thank you for being the perfect example of the type of Mother I wish to be. Happy Mother’s Day! ♥ Throughout history, women have been given a lot of rights. The best one will always be, to be a mother. ♥ Any woman can give birth, but it takes a special woman to be worthy of the title of Mother. ♥ When I look into my mother’s eyes, I see the woman I will always try to be. Happy Mother’s Day! ♥ Now that I am a mother myself, I truly understand how selfless and loving you are. 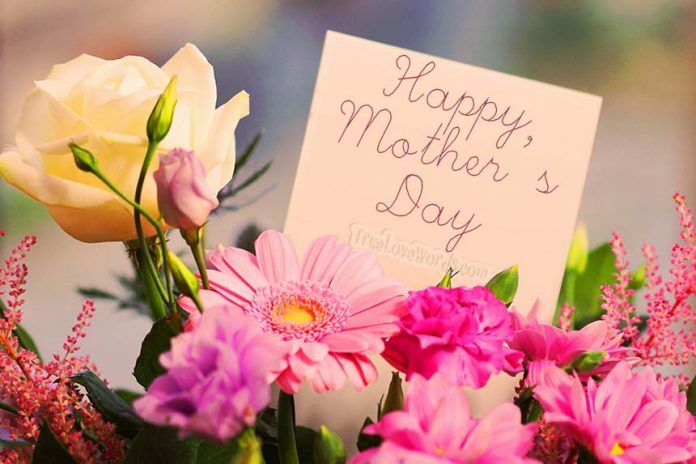 ♥ Especially on Mother’s Day, it is very difficult for me as a daughter to be so far away from my mother. ♥ No matter how many friends I have throughout my life, my mom will always be the best one. ♥ You were my Mother first, but you will always be my friend. I am delighted to be your daughter. Happy Mother’s Day! ♥ I used your example of how to be successful as a person, mom, friend and wife in my life. Happy Mother’s Day. Love, your daughter.